We’ve heard it before: 60 is the new 40 and 70 the new 50. Yet, there are many among us senior citizens who view themselves as 60 going on 80, and 70 going on 90. They think old, look old and act old. No wonder they feel they already have one foot in the grave. Death is a taboo topic in most Asian cultures, but, seriously, we all need a wake-up call sometimes before it’s too late and we are staring Death in the face. Do we want to spend the rest of our lives merely existing instead of living? The fastest way to speed up the ageing process is to think we are old and ready to die. Sure, we all have to die one day, but that shouldn’t stop us from having fun, adventure, romance and happiness while we can still draw breath. Some of my Form 6 English College JB classmates at our reunion luncheon last year. ﻿When we think we are old, we are. Our thoughts are very powerful. They govern how we behave and react. There are folks who, upon reaching retirement age, retire not just from their jobs, but from everything that used to define who they are. The first thing they give up is their physical appearance. In their minds, they are thinking – at my age, nobody gives me a second look, so why spend hard-saved money on unnecessary grooming. Their wardrobe consists mainly of auntie or uncle-type clothes in various funereal shades of black, brown and grey. If comfort is the reason, ok. But if they dress or act to please others, then they are allowing others to dictate how they should be living their golden years. Many retirees allow themselves to put on weight and wrinkles by avoiding all manner of physical activity. Their excuse – oh, at my age, I shouldn’t exert myself too much. Over time, they build up a host of health problems like high cholesterol, high blood pressure, diabetes and arthritis. They become frail and sickly, and dependent on others. 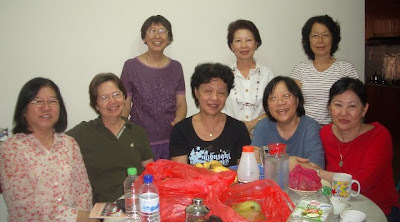 At my high school get-together in Batu Pahat. 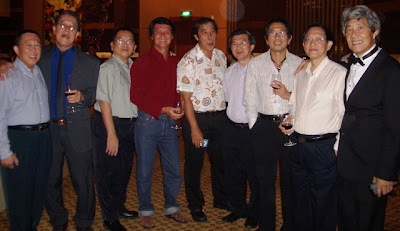 We completed our Form 5 in 1964. That's coming up to 50 years ago in 2014! They give up making an effort to keep in touch with old friends or making new ones. They spend their days mostly at home, moping around the house, and idling away the precious hours. They have no interest in anything that will improve their lives or that of others. Their favourite pastime is complaining about the government. A close second is dwelling on the past with regret. No wonder they end up lonely, cranky, depressed and bitter. What a way to live their retirement years! 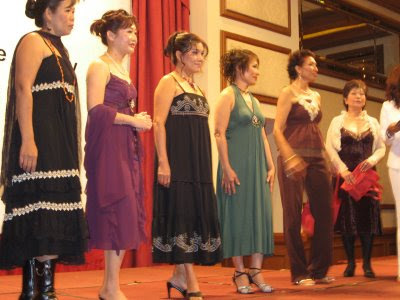 My first catwalk modelling experience at a fashion show organized by the Malaysian Menopause Society. It was so much fun! That's me in black, third left. I’m too old to travel. I’m too old to love again. I’m too old to dance. I’m too old to learn a new skill. I’m too old to take up a course of study. I’m too old to wear bright colours. I’m too old to venture out on my own. I’m too old to be outrageous. I’m still young enough to learn a new language. I’m still young enough to welcome romance into my life. I’m still young enough to write a book. I’m still young enough to take up belly dancing. I’m still young enough to go on an adventure trip. I'm still young enough to....ENJOY LIFE! We must constantly remind ourselves to make the most of our golden years, not waste them waiting for Death to knock on our doors. It's so easy to fall into the ageing trap. Time to think outside the casket! Sorry if I come on a little strong here, but I just want to get the message through that our retirement years are not a period of gloom and doom. It doesn't have to be so if you choose not to live that way.